First, choose your brand/formula that seems to have the best benefits for your skin’s type and condition as you will be wearing it all day so it needs to provide the right amount of hydration, nourishment, and balance for your skin. Choose a shade in these categories: yellow or golden, peach, beige, pink, or olive. It is important to have a representation of each category so you can be sure to identify the correct undertone. Dip a Q-tip in the foundation and swipe along your jawline, and across your forehead. It is important to see different areas of the face as they can be slightly different colors due to hormonal fluctuations or sun exposure. When swiping the foundations, apply a liberal amount at first then blend it into your skin and allow to dry. Place each shade side by side until you have swiped each color onto the facial areas. Let completely dry. Make sure you are near a window or outside when looking at the colors. 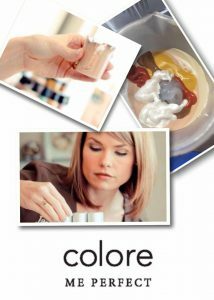 By looking, or taking a photo, see which shade or color blends into your skin as if it is almost invisible or barely seen. Once you have chosen the best shade category such as “yellow/gold:, choose a shade in its same category, one lighter and one darker. This gives you 3 shades in the same undertone to check value (how light or dark a shade is). Do the same swipe test in the directed facial areas (along your jawline and across your forehead) with all 3 shades in the right undertone. Allow to dry, then look in the natural daylight to see which shade disappears into your skin. Congratulations! You have found the perfect foundation shade! Once you know the right undertone, you can try different brands sticking in the same color category. Although, they may slightly differ, you will be in a pretty close range of great foundation colors for your skin tone. Never look like you are wearing a mask again! Many people can claim ignorance, such as “no one told me” or “my mother or father never showed me”, or “my family never valued how they looked”, etc. First of all, if it is important to you, then the key is to educate yourself by seeking out a specialist, or read books, magazines and study informational websites. Understanding your hair type, skin type, nail type, body type, and what fragrance type you are can impact your look everyday. How do you think models or celebrities look better and better as they become more famous? They learn from a team of people working on them a well as prioritizing their image to the public unless they are trying to be incognito. I have always been a big fan of self care and self education. In fact, I have built my two companies around this idea that education is power. See, education does not just stop at college level. We need to continuously educate ourselves on our bodies, both interior and exterior as we are biologically aging everyday and let’s face it, things change! But you could leverage these changes if you embraced them and had the right information at the same time, that is a potent compilation. Should You Color Your Gray Hair? Not Necessarily. Earlier this week I saw an article on Yahoo Shine called New Study Finds a Cure for Gray Hair—Finally. Hair color is such a personal preference and as a color expert, I am often asked for advice on my clients’ hair color. My spa does not do hair, but I can certainly help with anything color-related. Here are few things to consider when selecting your hair color. Gray may be great for you. 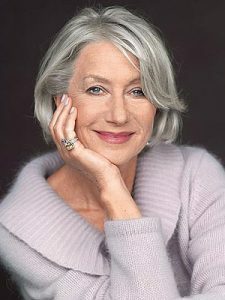 If you have every gotten your colors analyzed and you were a cool skin tone or categorized as a True Winter, or True Summer, then you should embrace your gray hair because it is suiting to your complexion. If you are grappling about keeping your gray hair or continuing to color it, then you should consider getting your colors done. It will give you peace of mind in your choice! Gray may not be your best bet. If you have strong yellow undertones in your skin, warm eyes, or look amazing in orange or gold clothing, I suspect gray would not be the best hair color choice for you. Therefore, you may want to consider a treatment recently discovered that may prevent or reverse the hair graying process discussed in the article link below. There also is the option of constantly dying your gray roots which can get a bit pricey! One more tip, for those of you that struggle with the aging process: define who you are and what is important and priority to you! It may be hair color perfection, healthy and radiant skin, a toned body, a healthy psyche, or fun makeup; we all have our thing! We all want to reverse the signs of aging, but you have to decide what is the best choice for you. I believe in image wellness, my spa’s principle in which you learn and create your best self on the inside and outside. There is no magic fix, but education in who you are and taking care of yourself is power and inner confidence. There is no replacement in life for that! If you’re interested in the article, you can read it on Yahoo. Contouring is one of the oldest make-up practices because it helps to sculpt your face and enhance your natural bone structure. Kim Kardashian uses contouring a lot. Once you read these tips, you’ll probably notice more people who use these tips in their every-day lives. Just be sure to use the right make-up brush to accomplish each technique. To slim your nose apply a contouring shade on each side of your nose, blend and highlight down the center of your nose. Use a foundation in 1 or 2 shades darker than your natural skin tone. Apply a light bronzer to each temple and blend. This creates a shadow effect to make forehead look more rounded. Highlight the middle of the forehead to create a focal point. Apply a bronzer in the hallow part of your cheek and highlight the apples of your cheeks with blush. Apply bronzer along the jawline and blend down towards the neck. This helps to strengthen the jawline and create a lift. With these simple tips for contouring, you can see how fun it is to play up your best features and play down one that you may not like.